Dr. Jim Turner, DVM and his wife Mary purchased Farrell Animal Hospital in in 1990. They shared the dream of improving the way pet boarding was historically handled, and Pet Resort in the Gardens is that dream come true. They built the resort with the needs of their own pets in mind. They had a Golden Retriever who feared storms, so they built a sound-insulated room. They had an active terrier, so daycare fit the bill. Their cats loved looking out windows, so they outfitted Kitty City with window units and a sun porch. 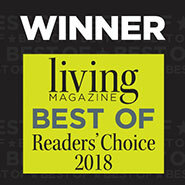 With medical supervision provided by the doctors of the on-site Farrell Animal Hospital, all lodging and daycare guests are proudly protected with a unique Peace of Mind Health Warranty. Mary, a former teacher, runs a tight ship with high expectations for superior service and impeccable cleanliness. 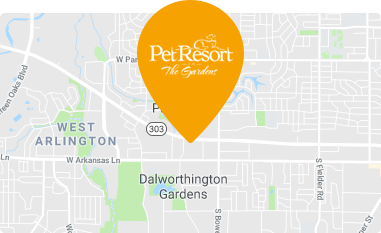 When you drop off your furry best friend, we’re confident you’ll see and smell the difference of an exceptionally-run pet resort. “Since loving my first cat, Pepper, when I was just 3 years old, I knew pets would be a major focus in my life. 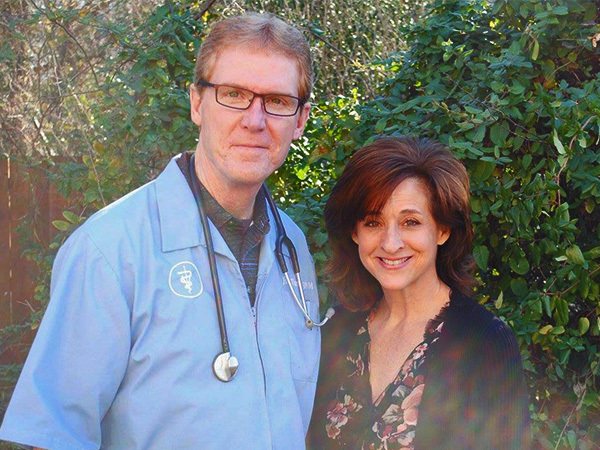 Being married to a veterinarian for over 30 years has made that a sure thing! 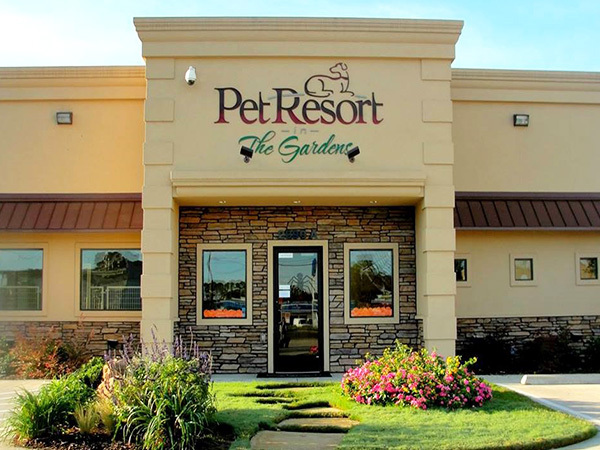 We opened Pet Resort in the Gardens in 2010 adjacent to my husband’s veterinarian practice, Farrell Animal Hospital. We saw a need to provide something Arlington lacked: a family-owned, full-service pet care facility based on what we want for our own pets.